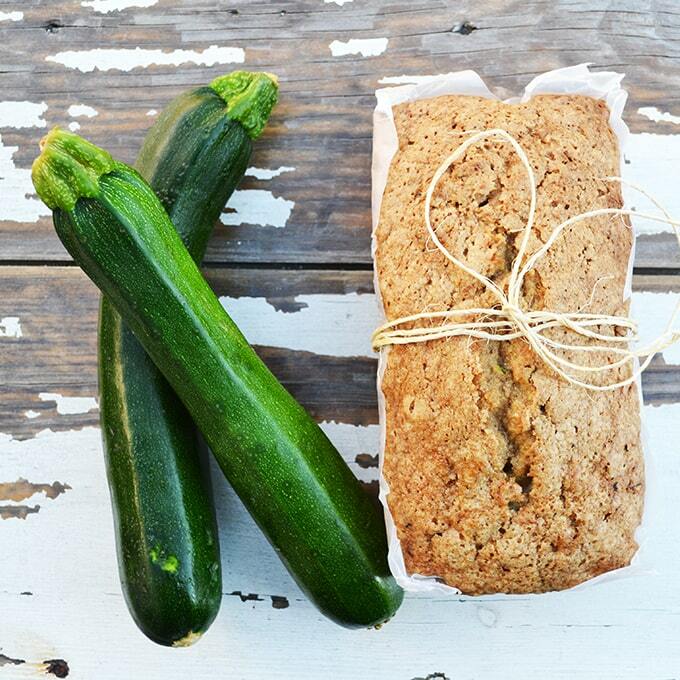 This recipe for Zucchini Bread is THE BEST. It’s tender, sweet, cinnamony and so good! This recipe also makes 2 loaves which is great, so you can freeze one for later! One of the things I love most about this recipe is that it makes 2 loaves, so you can wrap one up and freeze it to enjoy later! Sometimes it’s nice when you’re going to the trouble to bake, to have an extra made. I also like this because this time of year always makes me want to start to thinking about getting ready for winter. I know that may seem a little crazy to be doing in the middle of August, but let’s face it, right now, where I live the produce is plentiful, and it’s time to squirrel it away for those cold winter months. Anyway here is the recipe! I hope you love it! 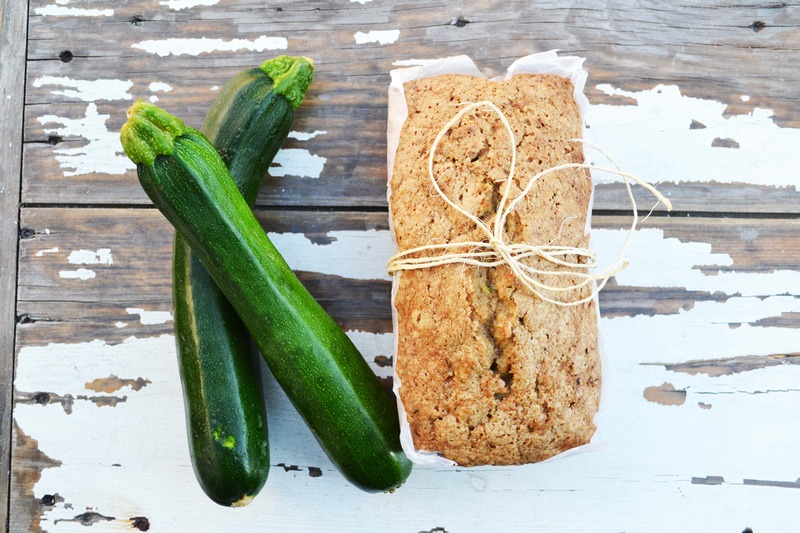 This recipe for Zucchini Bread is THE BEST. 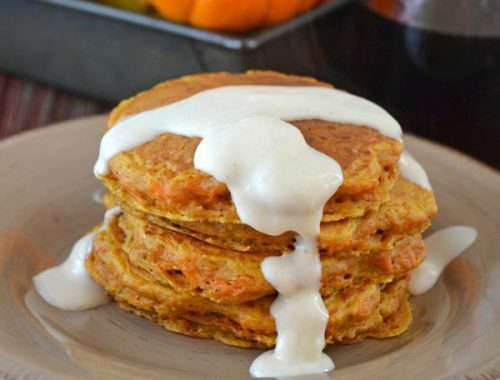 It’s tender, sweet, cinnamon-y and so good! This recipe also makes 2 loaves which is great, so you can freeze one for later. Shred 2 cups zucchini. Set aside. In a mixer, combine eggs, oil, sugar and vanilla. In a separate bowl, combine flour, salt, baking soda, baking powder and cinnamon. Then gradually add the dry ingredients to wet. Mix gently. In a preheated 325 degree oven, bake for about 1 1/4 hours. I like to line my loaf tins with wax paper. They come out perfectly, and they also look nice! Lovely little recipe and a perfect looking loaf. This sounds scrumptious! I’ve never tried lining the pan with waxed paper but I will now. Thanks. 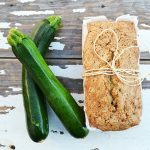 I’ve been meaning to make zucchini bread all Summer! Yours looks like a great recipe. Thanks for linking up to Tasty Tuesdays. I must confess… when you posted this recipe I jumped for joy as I had zucchini waiting for me to make into bread. So I went right to work baking this batch up and it is AMAZING! Thank you (and your mom) so much for passing on this recipe!! So, a lot of people must be thinking Zucchini Bread today. I was going to look for a recipe and now I don’t have to. I will be trying to replace the eggs with applesauce. We’ll see how it works! Thanks for the recipe! i love recipes that are passed down from mums. i really think mum’s the word when it comes to the best recipes, so i’m keeping your recipe over others that i’ve seen! 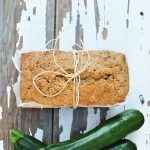 never tried zucchini bread before! This looks delicious! Thanks for sharing your family recipe! I have way too many zucchinis that I need to use up, this will be perfect! i must try this!!! 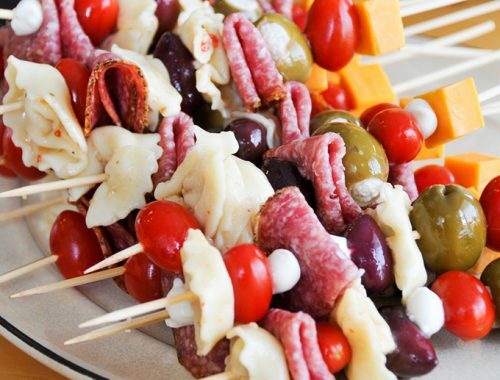 looks delish…I also love your blog! I’ve been thinking of winter too, even with it 90 degrees outside. 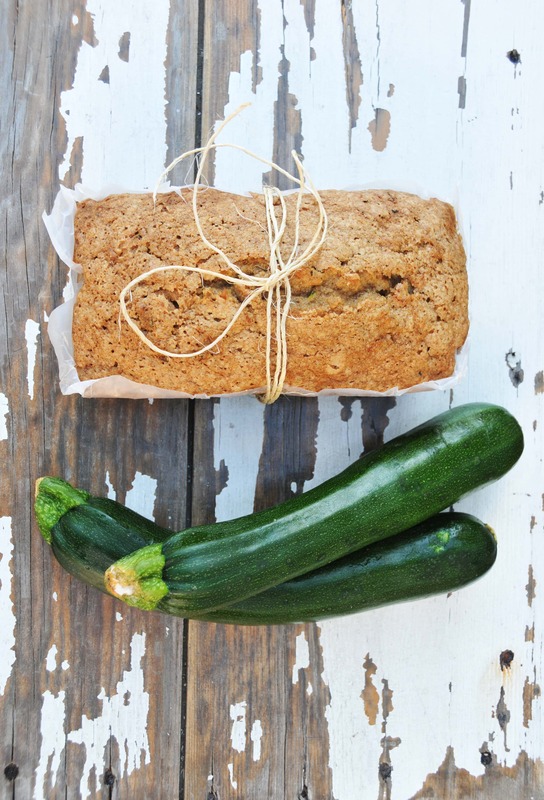 Looks delish…zucchini is so abundant at this time so I am always looking for new recipes! I felt the same way about my mother’s zucchini bread for years and years, but then I tried a recipe that I actually like even more. Shhh, don’t tell her. Hi! No question is silly! My pans are 8½ x 4½ x 2½ inch Loaf Pans – 5 cups. do you dry off or drin your zucchini before you add it to everything? WOW! 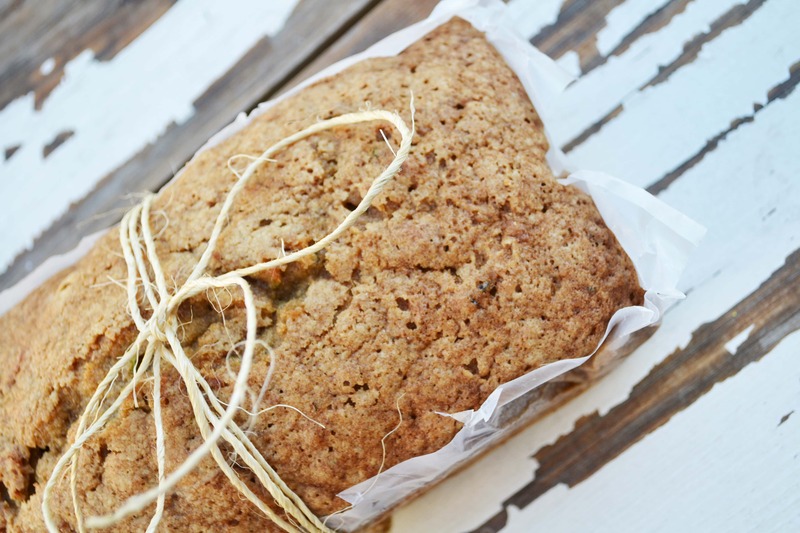 Yep… pretty sure this IS the best ever zucchini Bread! Which couldn’t come at any better time— I just picked a good zucc. from the garden! And I am making this TODAY! Thank you so so much!! could i replace the sugar for honey and it still taste good? Hi Lucy! I’m actually not sure, as I don’t really bake with honey (I don’t like the taste of honey all that much). If you make it with honey, let me know how it turns out! Good luck! I made it & I added a couple carrots and wow soo yummy! I tripled the recipe . I also greased & floured the loaf pans. Tall the loaves turned out. 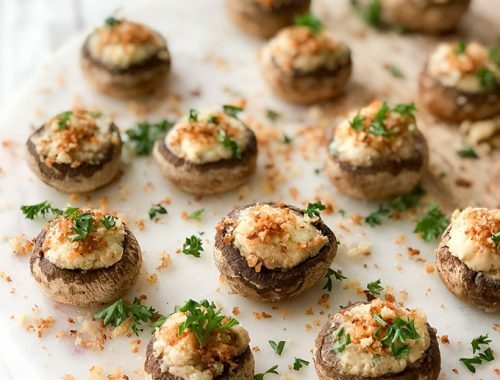 Looks great – any suggestions for how to reduce the amount of sugar in this recipe? I have cut the sugar back by almost half and they did turn out alright…not great. I found them a bit drier and more spongy.